Take to the go-karting track for a superb racing experience, pitting your whits against your mates to try and win the ultimate prize! Go-Karting is fast and thrilling one person action while of course trying to beat your everyone else. Take to the go-karting track for a superb racing experience, pitting your whits against your mates to try and win the ultimate prize! Go-Karting is brilliant for any kind of group and is fast and thrilling action while trying to beat your mates, which is the ultimate in getting the adrenaline pumping. 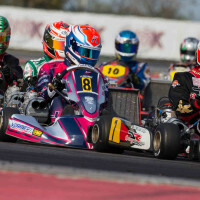 outdoor karting has various formats and depending on your group size, an exclusive race event could be available. If not, you can either arrive and drive or book into one of the many grand prix events.